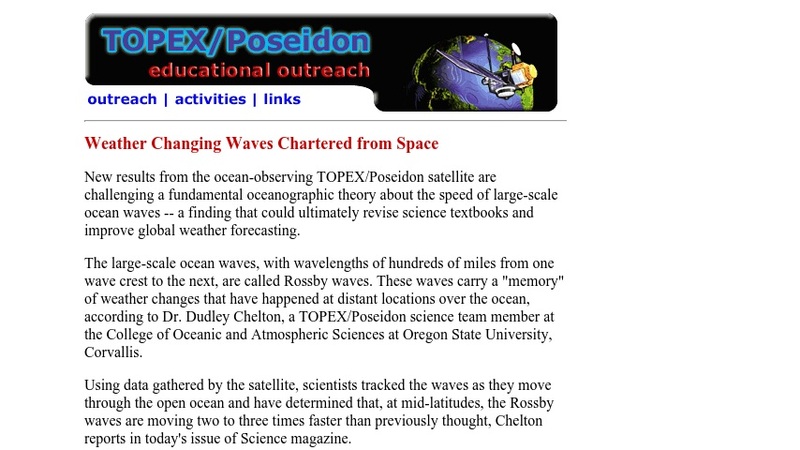 This article explains how the TOPEX/Poseidon satellite has been used to track large-scale ocean waves called Rossby waves. This new data indicates that the waves may move faster than previously thought, which may have implications for global weather forecasting. Links to related sites are provided.